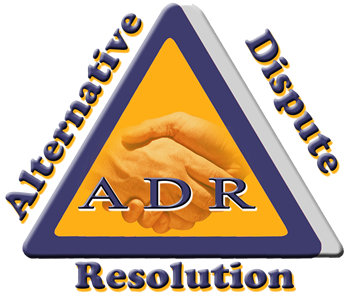 The Alternative Dispute Resolution (ADR) has been able to settle 50 per cent of cases that were reported to it from 2007 to 2018 across the country. In the period under review, a total of 21,215 out of the 42,057, representing 50 percent of cases brought before it were resolved. Mr Alex Nartey, the National Coordinator disclosed these to the Ghana News Agency in an interview in Accra. Popular among the cases brought before it were land related, land-lord tenant disagreement, debt recovery, child maintenance, divorce and minor criminal cases such as assault and disturbing public peace. Mr Nartey said from January to December 2018, out of the 4,112 cases put before it, 2,075 were dealt with, meaning, people were embracing the ADR mechanism instead of the normal litigation. He said in 2017, 3,486 cases were reported nationwide, out of which 1,571 cases, representing 45 per cent were disposed of. He said the system got to its peak in 2013 when 6,668 cases were recorded but 2,806, representing 42 percent were resolved. Throughout the 12 years of its existence, the best three years of the Programme were between 2007 and 2009, he stressed. He said 2009 was the year that saw the most settled cases of 72 per cent of 5,358 referred cases, followed by 2008 with 57 per cent and 53 per cent in 2007. Mr Nartey said conflict resolution was difficult and it required commitment and hard work by all, especially, government to achieve results. He, therefore, appealed to government and other stakeholders to help deal with the resource constraints to boost the morale of judges as well as mediators to settle more cases. Currently, he said, ADR had 127 courts dotted across the country and called on Ghanaians to use it as it was the cheapest alternative. 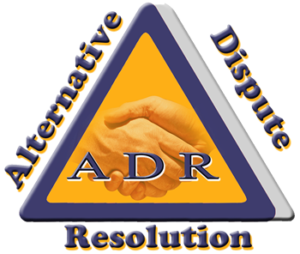 Comparing ADR and the court, Mr Nartey noted that unlike the court, disputing parties are served free of charge and they only had to pay for the filing fee. Again, he attributed the success of the ADR to the fact that the traditional court system was procedurally and technically cumbersome as compared to the ADR, which was less technical and adopts an informal approach in engaging the disputing parties to broker a mutually acceptable resolution to the dispute. Mr Nartey said, ADR makes the parties focus on their interest and not on their positions which normally delayed expeditious trial. Litigation is fast becoming unpopular due to a general negative perception of the public regarding the judicial processes in the country coupled with its slow, expensive and cumbersome nature. Based on this, the ADR was initiated in 2007 as a comprehensive reform programme of the Judicial Service of Ghana, to reduce the backlog of cases in the courts, to significantly reduce time spent in trying cases and also to introduce policies and processes that make justice more accessible to the poor and vulnerable in society.